42,170 New Hampshire children live in a state of food insecurity. They spend every day not knowing when or where their next meal will come from. Many of them qualify for free or reduced price lunch at school, and so are guaranteed at least one healthy meal per day. But what happens when the school day ends? After school, these children might not eat again until their next lunch at school. But for those children who attend afterschool programs, things could be different. 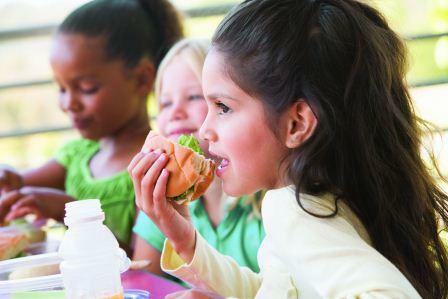 With the passage of the Healthy, Hunger-Free Kids Act in 2010, qualified afterschool programs in every state became eligible to participate in the Child and Adult Care Food Program (CACFP). Through the CACFP, they can receive reimbursement for healthy meals served to the children in their care. By engaging with afterschool providers to expand participation in this program, NH Kids Count is working to make sure that no child goes hungry.